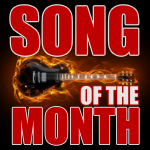 This month’s Guitar Accelerator Song of the Month is a popular fiddle tune called “Devil’s Dream”. This piece sounds great on guitar and is fun to play too. I’ve specifically arranged it to improve your pinkie strength. This piece also uses string skipping, alternate picking, hammer-ons and pull-offs. In this tutorial, we will look at an easy starter barre chord and some tips that will make barre chords much easier to play. In this month’s Guitar Accelerator Song of the Month, we will look at a fun beginner to intermediate piece that will improve your alternate picking and string skipping technique. 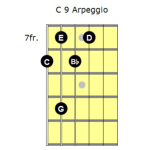 Dominant 9th chords are common guitar chords found in jazz and blues. Some rock and country styles also make use of these chords. Given their widespread use, it’s important to know how to play them. In this tutorial, we will look at the basics of how to build dominant 9th chords and play them. In this month’s Guitar Accelerator Song of the Month, we will look at a reel called “Goodbye Sweetheart”. This is good intermediate guitar technique piece. This piece will improve your string skipping and alternate picking. 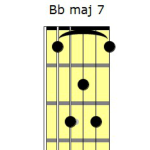 What’s the Difference Between Dominant 7th and Major 7th Chords? In this tutorial, we will look at the difference between the major 7th chord and the dominant 7th chord and how to play them on guitar. For this month’s Guitar Accelerator Song of the Month, we will look at a piece of moderate difficulty that uses lots of sweep picking. What you will love about this piece is it sounds impressive on guitar and won’t take you long to learn. How Long Does it Take to Create a New Guitar Practice Habit?